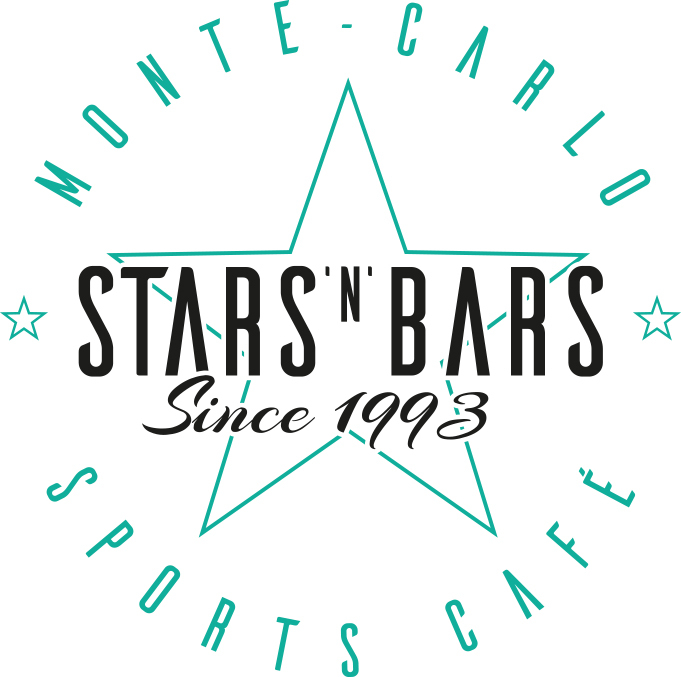 STARS’N’BARS, Monaco’s first sports bar and family-friendly restaurant since 1993, has updated its corporate logo and business strategy to more effectively meet its customers’ needs in the 21st century. According to STARS’N’BARS co-founders Kate Powers and Didier Rubiolo, the new logo maintains the original five-point star and text but replaces an outdated “red, white and blue” theme with an “eco” blue/green palette—the colors of land and sea….and an up-to-date typeface. The new logo reflects a more modern design and is simple, clean and light, reflecting the restaurant’s commitment to homemade cooking, using fresh, seasonal, unprocessed and natural ingredients. 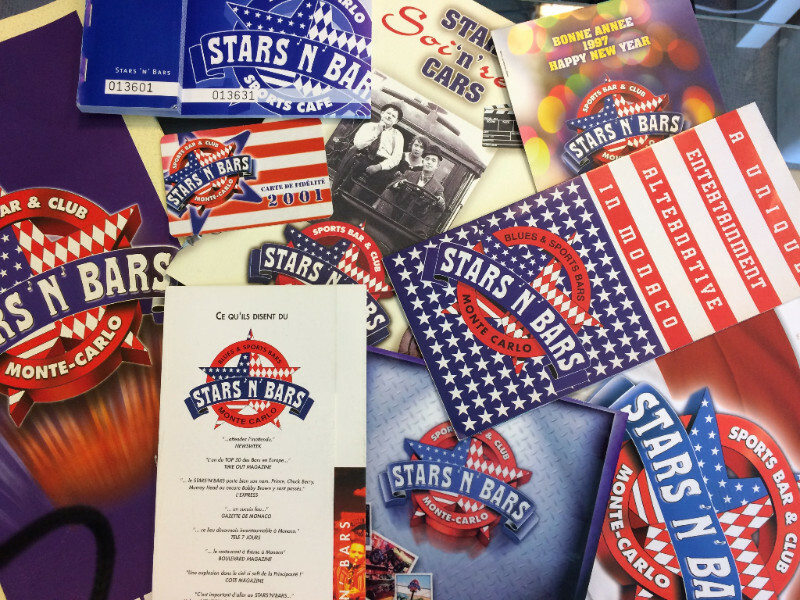 The name STARS’N’BARS was the 1993 brainchild of Jean-Pierre Baldwin whom everyone called “Coach”. 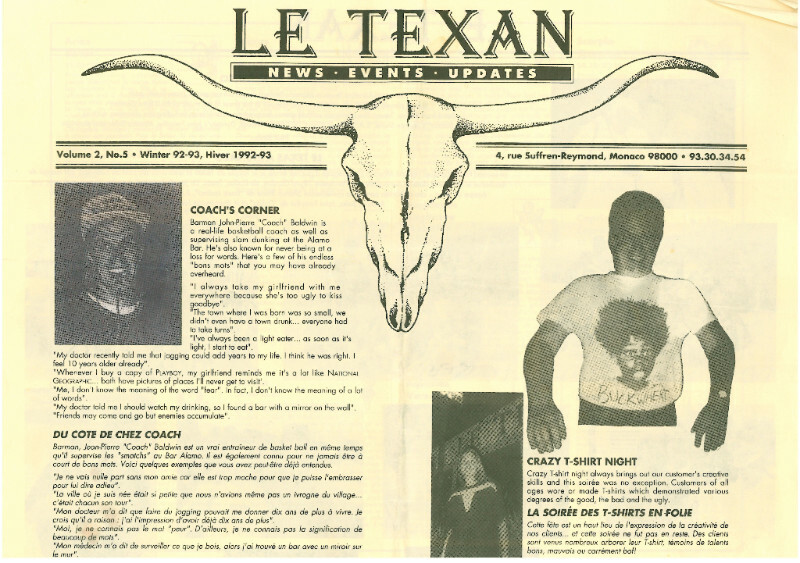 He was a bartender at LeTexan restaurant which Kate and Didier operated before building STARS’N’BARS. He proposed the name because he said that we must always treat our customers as “stars” and because there would be more than one bar in the new establishment. He was right…today there are 3 bars in STARS’N’BARS and our customers are still our favorite VIPs. 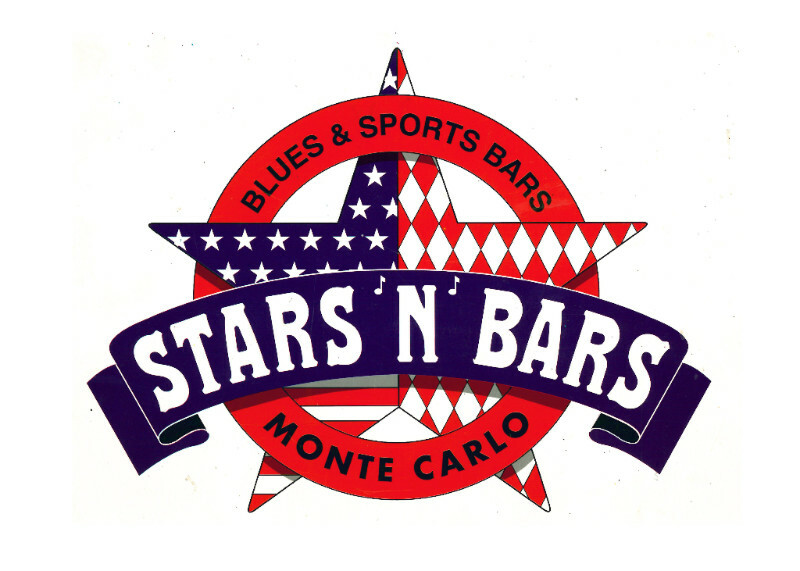 The original STARSNBARS logo was designed by Monaco artist Marie De Bruyne twenty four years ago . 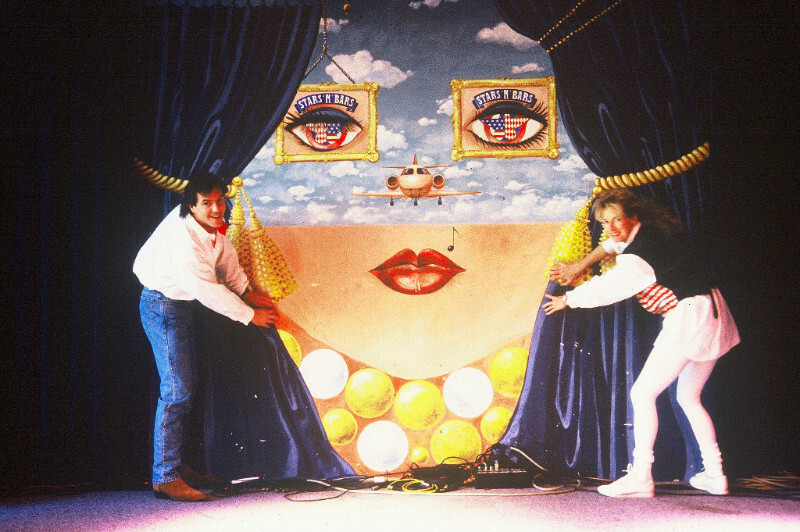 The first logo featured a montage of American and Monaco flags and national symbols but the logo has undergone numerous small changes during 24 years. 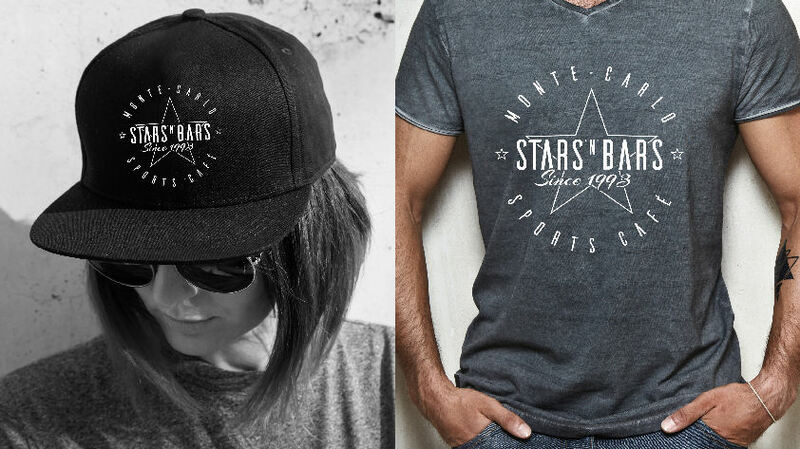 Late last year, STARSNBARS hired communications consultant COLIBRI MONACO to design a new logo which has already been used to launch the newest STARS’N’BARS in Courchevel in December. 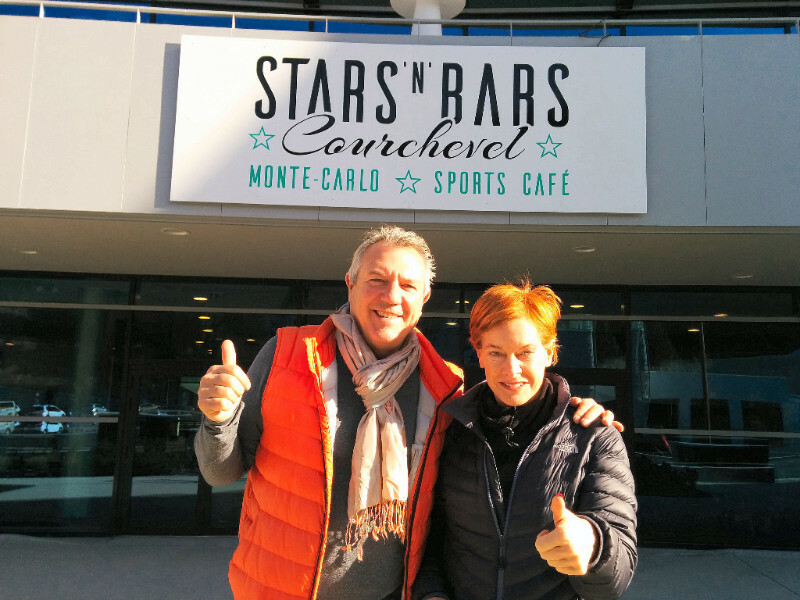 STARS’N’BARS a toujours servi des clients de tous âges et de tous les milieux, et entretient des liens très solides avec la communauté de Monaco. Selon Kate “Nous avons toujours voulu être plus qu’un simple restaurant et nous avons toujours considéré l’importance de redonner à la Principauté ». 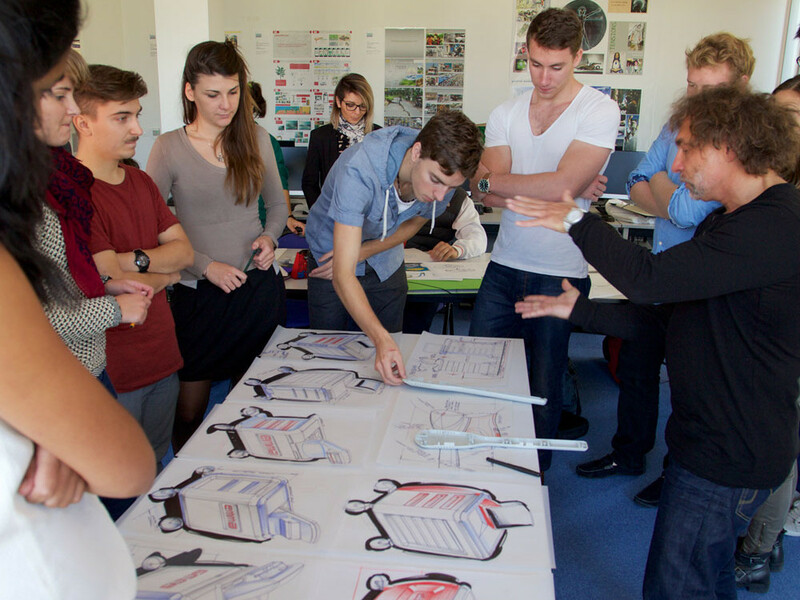 En 2016, Kate et Didier ont eu l’idée de contacter The Sustainable Design School à Nice, l’une des 3 seules écoles d’innovation dans le monde. 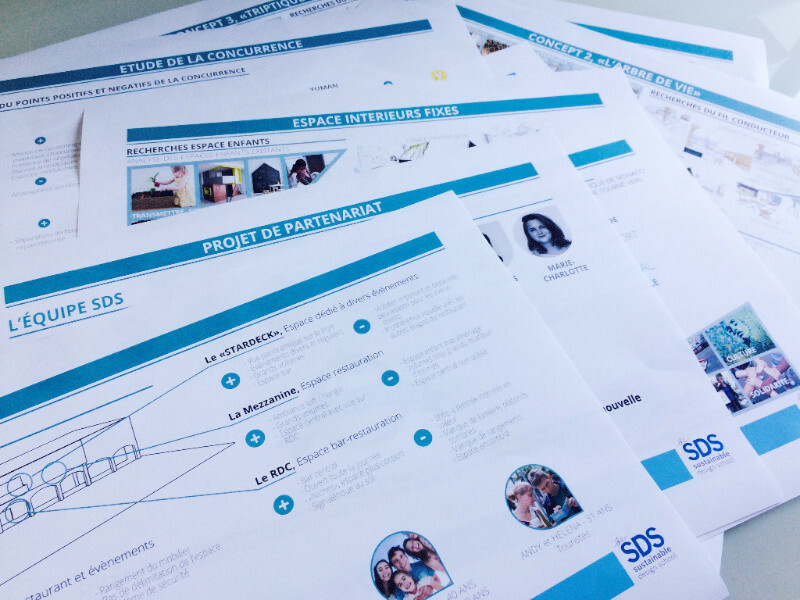 Leur travail consistait à repenser et à optimiser l’utilisation de l’espace, du temps et des ressources, et de l’identité visuelle afin de faire une transition cohérente vers un « eco hub” communautaire. “Everyone today has an obligation to reduce their carbon footprint our planet’s life and the lives of our children depend upon it” Didier said. In recent years, STARSNBARS has doubled its efforts to reduce its ‘food’print the environmental cost of rearing, farming, processing, transporting, storing, cooking and disposing of the food it serves. – A diversified menu of homemade dishes that include traditional favourites like hamburgers, steaks and pizzas but with ingredients that are increasingly organic, locally sourced and include vegan and non-gluten options as well as sustainable meat and fish products. – partnerships with government, education and private business to promote wellbeing and protecting the planet.